MyDefence has announced the launch of PITBULL the company’s next-generation wearable Counter-UAS (unmanned aerial system) solution that utilizes smart jamming to defeat enemy drones. PITBULL is developed to have minimal impact on other signals while jamming, in an effort to maintain own communication. The Counter UAS jammer is a tactical solution weighing 775 grams, designed to be worn on the uniform with the purpose of minimizing the cognitive load of dismounted soldiers. PITBULL is plug-n-play and requires minimal training to operate. Used together with the WINGMAN detector, the entire process of detecting and defeating malicious drones can be fully automated, allowing the operator to carry on with the mission without worrying about enemy drones. “This is a big leap in the technological advancement of active countermeasures against malicious drones. 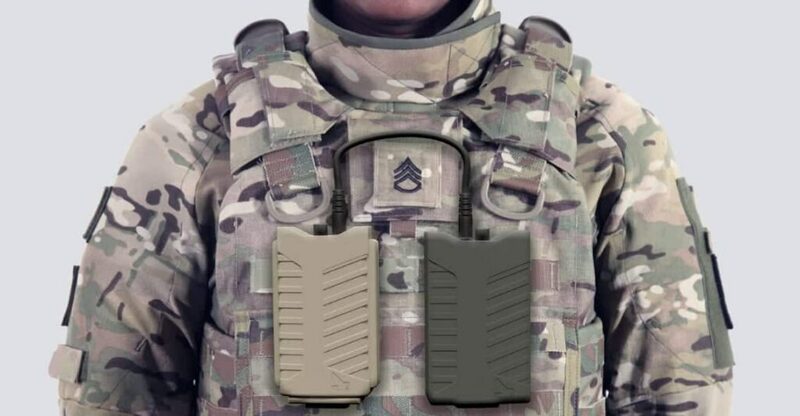 There exists an immediate demand in the Counter UAS market for wearable solutions for dismounted soldiers that does not interfere with their function in a unit. We are therefore proud to introduce the PITBULL wearable smart jammer that allow dismounted soldiers to defeat enemy drones while maintaining own communication,” commented CEO of MyDefence Christian Steinø. “The PITBULL drone jammer will, based on the detection signals from the WINGMAN, automatically start jamming the control signals of the detected drones. PITBULL requires no training simply turn on the devices and you are protected against detected drones, making it ideal for dismounted soldiers, who can instead focus on their mission,” continued Christian Steinø. The PITBULL smart jammer is an ideal solution for dismounted soldiers operating in hostile environments, where enemy forces utilize commercially available drones for reconnaissance and as weapon delivery systems.